As Kotaku previously reported, Mimikyu is terrifying in the new Pokémon Sun Moon anime. But, we thought Mimikyu was so cute! The hell is going on? Japanese fans think they’ve figured it out. Note: This article has Sun and Moon game spoilers. 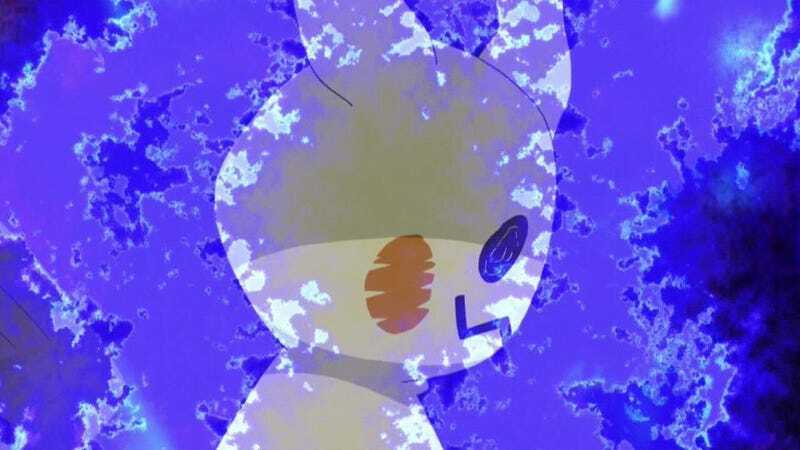 When Mimikyu shows up in the new Pokémon Sun Moon anime, the character is surrounded by blue and purple light that kind of looks like electricity. Mimikyu totally freaks out Meowth and appears to be holding one helluva grudge. But, Rotom Pokédex explains that Mimikyu is a Ghost/Fairy Pokémon and under that Pikachu costume is mysterious, unidentified Pokémon. But who? Shock. Died. Shock. Pikachu. Shock... Pokémon shock? Porygon appeared in that episode. As Japanese site Pokemon Matome points out, there are theories that the mysterious Pokémon is Porygon. (Better yet, not just Porygon, but perhaps, Porygon2). Porygon has not starred in an episode of the TV anime since the “Pokémon Shock.” Pikachu, however, has. Maybe Porygon is still bitter at Pikachu? That would explain the Pikachu hate. This theory doesn’t stop at the new anime. Online in Japan, people have found a photo of Ash and Pikachu in the Sun and Moon game. This could be a hint. And Mimikyu is hanging around place where you get Porygon in Sun and Moon. The rising popularity of Pikachu-styled merchandise around 20 years ago is the reason that Mimikyu makes itself look like Pikachu. Around twenty years ago? Around twenty years ago, that infamous Pokémon episode was broadcasted on Japanese television.